Canoe Ridge Creations: catch up! first off, I just wanted to say a *HUGE* THANK YOU to all of you who left kind words on my behind blog post! your words of encouragement+kindness truly mean the world to me! so thank you, thank you, thank you to each and everyone of you! words can't express how much it means to me! 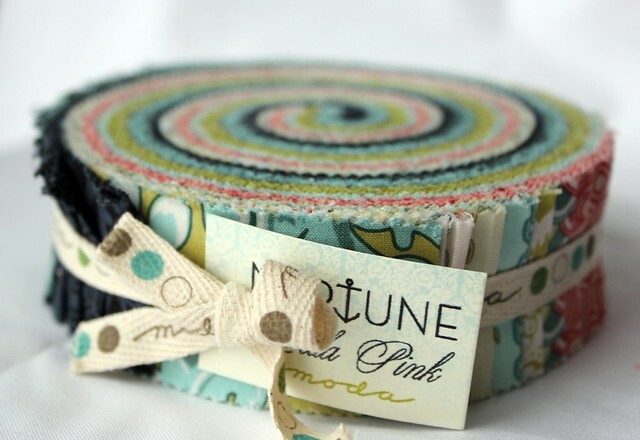 and it seems in my whirl-wind of catching up on all things sewing I completely forgot to announce the winner of the TulaPink Neptune honey bun. there were over 550 entries in the giveaway, but there can only be one winner. congrats to #58 Melinda! the package is already on it’s way to your house! i'll be back tomorrow to share some of those sewing finishes i've been working on!